A new species of butterfly could provide clues about Alaska's geological history and its changing climate, according to a University of Florida researcher. FAIRBANKS, Alaska (AP) — A new species of butterfly could provide clues about Alaska's geological history and its changing climate, according to a University of Florida researcher. 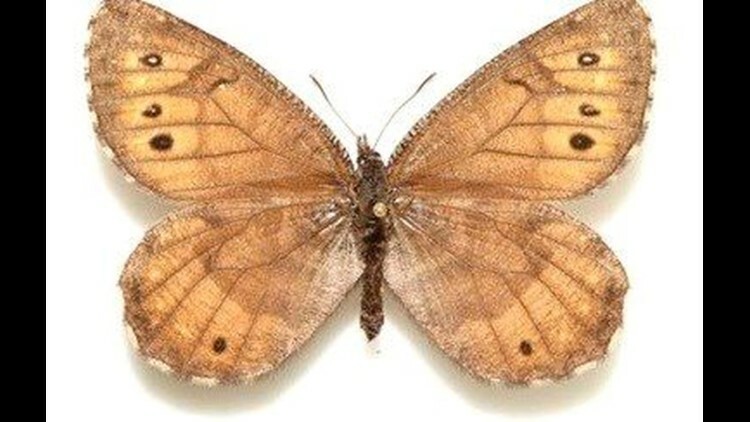 Research by lepidopterist Andrew Warren suggests that the newly discovered Tanana Arctic butterfly evolved from the offspring of two related butterfly species, the Chryxus Arctic and the White-veined Arctic. He thinks all three species lived in the Beringia region before the last ice age, reported The Daily News-Miner (http://bit.ly/1pyeusq ). Scientists have been seeing the Tanana Arctic butterfly for more than 60 years, but its similarity to the Chryxus Arctic led them to believe it was the same species. Warren noticed its distinct characteristics as senior collections manager at the McGuire Center for Lepidoptera and Biodiversity at the Florida Museum of Natural History on the UF campus. The Tanana Arctic has white specks on the underside of its penny-colored wings, giving it a "frosted" appearance, and it is larger and darker than the other species. It also has a unique DNA sequence that is very similar to that in nearby populations of White-veined Arctics, said Warren, leading to the hypothesis that the new species is a hybrid. More field research is needed to find out whether the Tanana Arctic also exists further east into the Yukon. Arctic butterflies live in environments that are too cold and extreme for most other butterflies and can survive in part thanks to a natural antifreeze their bodies produce. He plans to return to Alaska and look for the butterfly next year. Warren wants to collect new specimens in order to fully sequence the genome, which could reveal the species' history and show whether it's truly a hybrid.